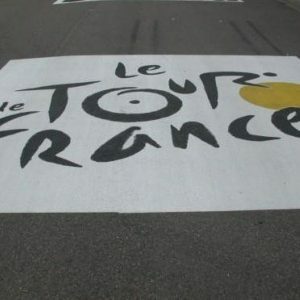 The Freight Transport Association (FTA) has stated plans are now in place to ensure disruptions caused by the impending Tour de France making its way from West Yorkshire to the capital will not impact businesses requiring logistics support. With the Tour set to witness its Grand Depart from Leeds on Saturday (July 5th), companies throughout the UK may be concerned that essential routes could be closed to traffic or increased levels of congestion could be a problem. This should not be an issue for UK hauliers though, as freight operators in Yorkshire, Cambridgeshire, Essex and London have been planning for this event for some time. Indeed, FTA head of policy for the north of England Malcolm Bingham stated: “The freight industry has been working hard to plan around the road closures to help ensure that deliveries will be made as close to normal as possible. First taking place in 1903, the Tour is now in its 101st year – having been placed on hiatus during both World War I and II – and has become one of the largest and most high-profile sporting events across the globe. It will see riders from dozens of nations battling it out for the coveted yellow jersey, with the UK’s Chris Froome the reigning champion and among the favourites to secure the title again in 2014. Three stages of the Tour are to be held in the UK this year – Leeds to Harrogate, York to Sheffield and Cambridge to London – before riders make their way across the Channel and continue their fight on the roads of France.